“The slogan has changed in the last 5 years. Earlier it was ‘Acche Din Aayenge’. 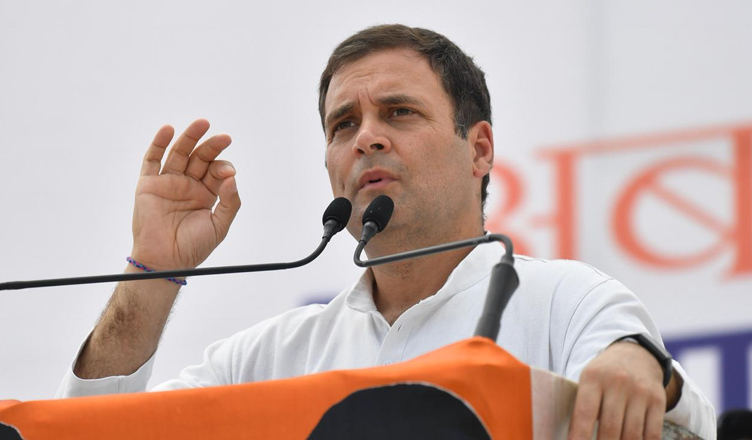 The new one is ‘Chowkidar Chor Hai,” Gandhi said while addressing a public meeting in Fatehpur Sikri, Uttar Pradesh. He further said that PM Modi made three promises in 2014 of 2 crore jobs every year for the youth, loan waiver to farmers, and 15 lakhs in everyone’s account but he failed in delivering on all these. After the 2019 elections, when we come to power, not a single farmer is going to go to jail for not being able to pay back your loans. My point is that if Anil Ambani is not sent to jail after stealing ₹45000 crores, why our farmers?